Have you checked in with your elderly loved ones lately? With an estimated 10-15% of senior Australians experiencing loneliness, anxiety or depression on a daily basis, elderly social isolation is an invisible disease in society — and one with serious physiological and psychological implications. Although many older people feel afraid to speak up due to the stigma surrounding elderly depression, the effects of social isolation in the elderly can be devastating. Studies on elderly mental health show that socially isolated seniors are twice as likely to die prematurely. With a mortality rate comparable to smoking and twice as dangerous as obesity, elderly depression can wreak havoc on your loved one’s immune system and blood pressure, leading to diabetes, heart disease and arthritis, and worsening pre-existing chronic conditions. 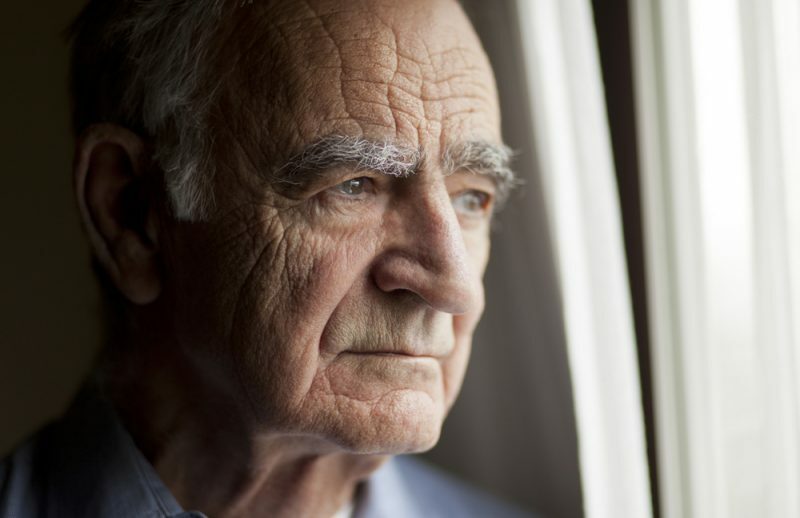 In this article, we’ll investigate the factors that contribute to elderly social isolation, explore depression and anxiety from an elderly person’s perspective, discuss key signs of elderly loneliness, and reveal tips for combating loneliness in seniors. Finally, we’ll talk about how to help your loved one on their journey toward positive mental health. What Factors Contribute to Elderly Social Isolation and Loneliness? People who are depressed and anxious often have trouble looking after themselves, both physically and mentally. An elderly person with depression likely finds it especially difficult to reach out or seek help. The reasons for this can be complex and require sensitivity. Often, older people avoid asking for assistance because they have too much pride or don’t want to feel like a burden to their family. They may experience feelings of inadequacy, inferiority, self-consciousness, embarrassment, or humiliation. This reluctance to find help can create a vicious cycle and make the elderly person more likely to isolate themselves socially, further exacerbating their depression and social anxiety. Loneliness can be a terrible feeling, but there are ways to escape it. Here are three steps to helping your loved one feel more connected, useful and appreciated. Meaningful relationships with friends and family – and having a specific person to confide in – can dramatically lower the risk of loneliness. Consider ways to support your loved one to create enriching relationships, rather than simply increasing their number of shallow social interactions. While people previously believed that the best solution to loneliness was to increase the quantity of social connections in a person’s life, a number of psychological studies highlight that the most effective strategy for overcoming loneliness is to improve the quality and strength of social bonds. To deepen these bonds, it’s important to invest in quality time together and regularly show appreciation. The first step is to encourage your loved one to deepen their friendships with people they already know. For many older people, elderly depression stems from a loss of independence, an unhealthy perception of themselves as ‘incapable’, and feeling trapped without the ability to enjoy the skills, interests and experiences they appreciated throughout their life. Depending on your loved one’s needs and capabilities, it may be worthwhile to encourage them to actively take ownership of strategies to overcome their own loneliness. You can help empower them by reminding them how the talents, hobbies and experiences from their past can help them in making new friendships now. Many senior Australians would benefit from tapping into local community activities to meet new people, and maintain or restore their independence. Empower your loved one to participate in local clubs, volunteer programs and even adult day care centres to build friendships. By gradually rebuilding or reinforcing their sense of purpose and independence, you can help them feel valued and fully engaged with life. Often, depressed elderly people cling to their home and possessions because they create a false sense of safety. However, holding onto these possessions can actually hold them back from living life more fully. Inevitably, as your loved one ages and experiences difficulties with health, they will find it increasingly difficult to reach out and sustain social bonds. At this stage, joining an assisted living or elderly care facility that can provide a sense of belonging may be beneficial. Many assisted living and elderly care facilities offer programs that help seniors interact with and form friendships with people from different backgrounds and ages. When considering elderly care facility options, it’s important to find one that makes your loved one feel right at home. Since improving diet can help ease symptoms of depression, look for an assisted living facility that can help your loved one improve their quality of life with a nutritional diet designed to improve health. If your elderly loved one suffers from a health condition that leaves them unable to take care of themselves, such as dementia or a chronic health condition, it may be worthwhile to consider relocating to an elderly care facility that can provide them with a supportive social community, in addition to medical assistance. Ultimately, by helping your loved one re-establish meaningful friendships and ensuring their health needs are taken care of, you will naturally see a shift in the way your loved one interacts with others – and how they see themselves. Are you worried about an elderly loved one’s mental health? Does someone in your life appear to be struggling? By providing sensitive support, you can help empower them to address their loneliness and find a healthy solution for it. Many research studies show that the secret to longevity and quality of life is connection. As your loved one grows older, they will find it more and more difficult to reach out and create social bonds. At this stage, joining an assisted living or elderly care facility that offers a sense of belonging may be the best option. Finally, if your loved one is clinically depressed, encourage them to seek help for their depression from a doctor. Elderly social isolation and loneliness are difficult challenges for any family to face, but it’s important to face them together. By reaching out to your loved one gently and letting them know you are there to support them with no stigma attached, you are sending a powerful message of support and love that may help them recover from loneliness. Get in touch today for a free consultation with Bob Morton about how decluttering your elderly loved one’s home and guiding their move to an assisted living facility can increase their social connections and quality of life. Australian Institute of Health and Welfare. (2017). Australia’s Welfare 2017. Australian Institute of Health and Welfare. (2015). Australia’s Welfare 2015. Australia’s Welfare, series no. 12. Cat. no. AUS 189. Canberra: AIHW. Aged and Community Services Australia. (2015). Social Isolation and Loneliness Among Older Australians. Issues paper no. 1. Landeiro F, Barrows P, Nuttall Musson E, et al. (2017). Reducing Social Isolation and Loneliness in Older People: A Systematic Review Protocol. BMJ Open 2017;7:e013778. doi: 10.1136/bmjopen-2016-013778. Health Direct. (2018). Loneliness and Isolation. Aged Care Guide Australia. (2018). Exploring the Link Between Loneliness, Social Isolation and Mental Health in Seniors. Relationships Australia. (2017). Loneliness – Online Survey Results. Hello Care. (2016). Loneliness and Social Isolation Linked To Early Mortality.